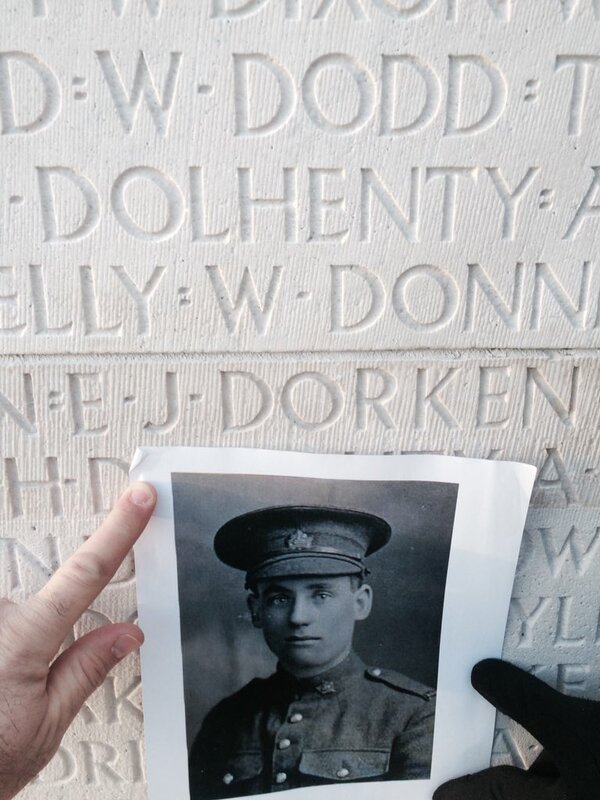 Private Ernest John Dorken of 292 Admiral Street, Woodstock, Ontario. December 27, 1995 Born Born at London, Ontario. 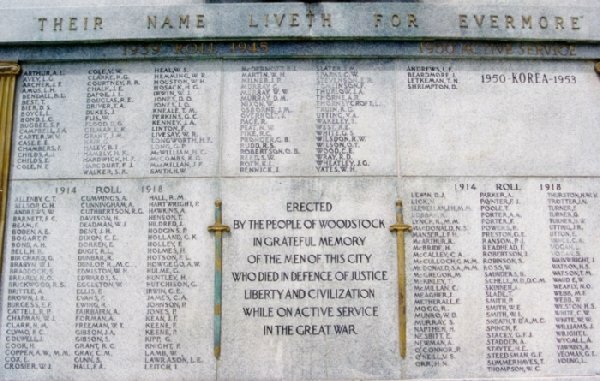 January 5, 1916 Enlists Enlists with the 186th Battalion in Woodstock, Ontario. He is a pressman standing 5’6” tall and is aged 20-years. 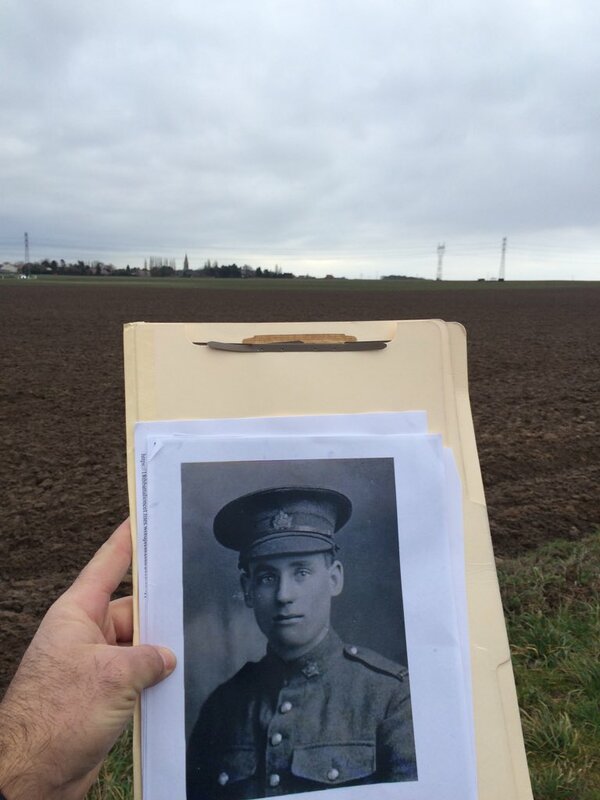 He has prior military experience having served with the 22nd Oxford Rifles. 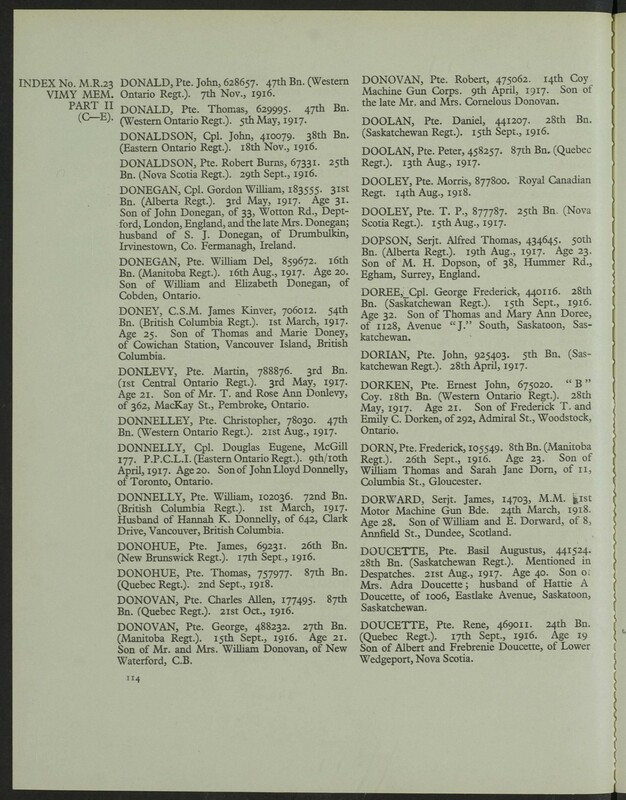 He lists as his next-of-kin his mother, Mrs. Emily Dorken residing at 292 Admiral Street in Woodstock, Ontario. 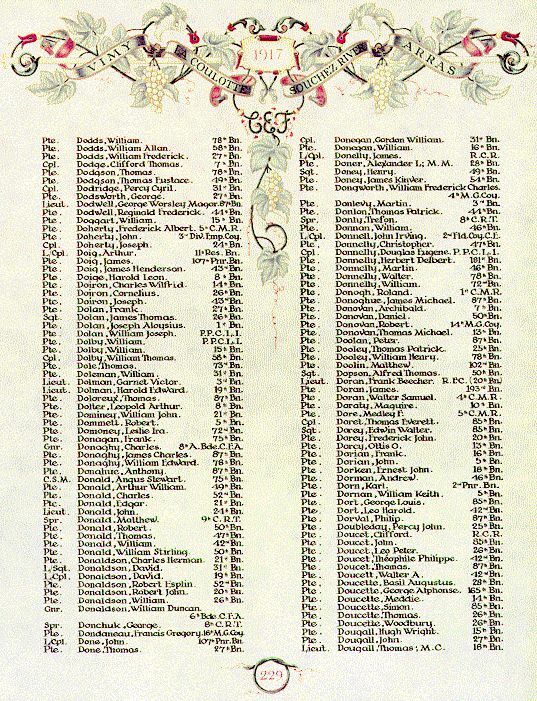 Note that his younger brother, George, enlists on the same day and has the reg. no. 675021 issued to him. He survives the war. May 18 1916 Inoculated Anti-typhoid. May 28, 1916 Inoculated Anti-typhoid. 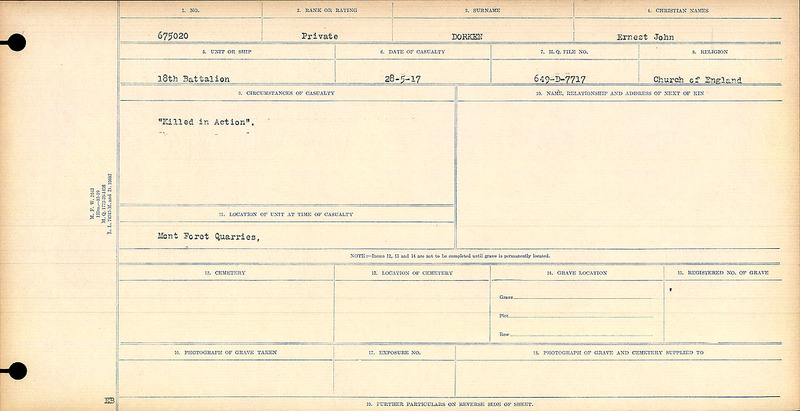 June 1, 1916 Admitted Admitted to London (Ontario) Military Hospital for an abscess of the knee. A card indicates the diagnosis as synovitis of the knee. June 27, 1916 Discharged Discharged re. entry above. October 22, 1916 Forms Will Forms Will leaving his real estate and personal estate to his mother, Emily Dorken. The will was witnessed by Sgt. Charles Henry Northeast, reg. no. 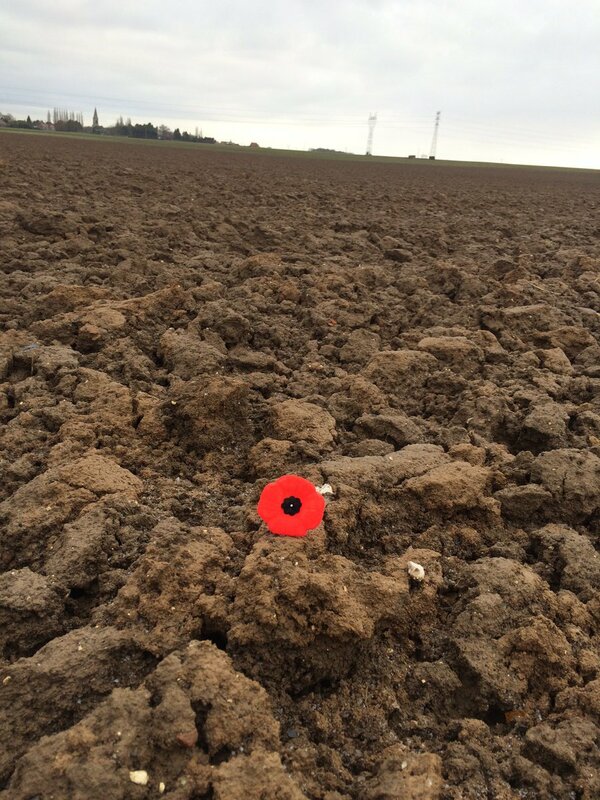 675798 and Private William Jerry, reg. no. 675349. November 1, 1916 Assigns Pay Assigns $20.00 per month to his mother. November 1, 1916 Embarked Halifax Embarked for Liverpool, England. November 11, 1916 Disembarked Liverpool Arrives and disembarks at Liverpool. 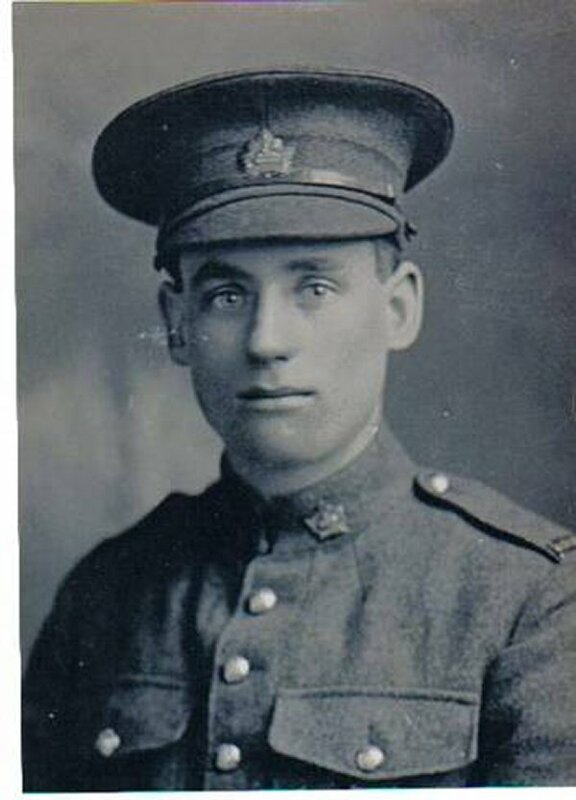 December 5, 1916 Transferred Transferred to 12th Battalion at West Sandling. April 1, 1917 Transferred Transferred to the 4th Reserve Battalion at West Sandling. April 13, 1917 Stuck off Strength At Bramshott struck off strength from the 4th Reserve Battalion to be assigned to the 18th Battalion. April 16, 1917 Arrives Canadian Base Depot Arrives Canadian Base Depot at Etaples, France. May 28, 1917 Killed in Action Private Dorken may have been one of the men of a “covering party” that was engaged in protecting a wiring party. During a German barrage element of these parties retired and it was found that three men were missing. An attempt to find these men was made but to no avail. The men where not found. See the War Diary for more details. Commemorated on the Vimy Memorial as his body was never found. December 13, 1921 Plaque and Scroll Canadian Government issues plaque and scroll to Mr. Frederick and Mrs. Emily Dorken, the parents of Private Dorken.